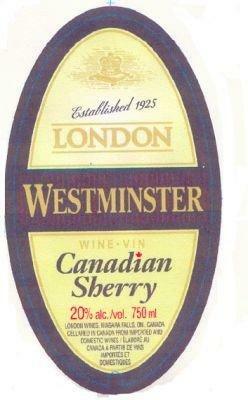 London Winery was founded in 1925 in the city of London, Ontario by A. N. Knowles and his bother Joseph. It came about in a time when the Government of Ontario was refusing to approve additional licensing for wineries (a condition that lasted approximately 50 years). The Knowles family began the winery by purchasing an existing licence from Giovanni Paproni. From 1926 to 1945 the Knowles Family purchased nine such licenses. The most noted purchase was that of J .S. Hamilton & Co. which had started on Pelee Island in 1871. 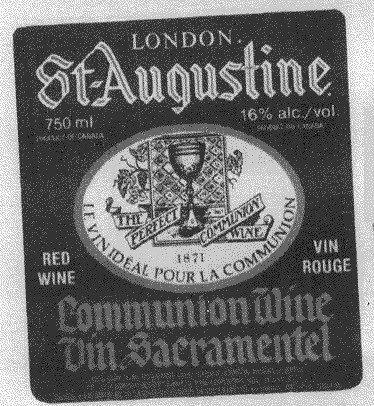 Hamilton had one wine of note: St Augustine Communion Wine. In 1929, the Anglican Bishop of Montréal had proclaimed: I know of no other wine wine equal to it for sacramental purposes. The early table wines produced in Canada at this time could not compete with the preferred choice from France and Italy. 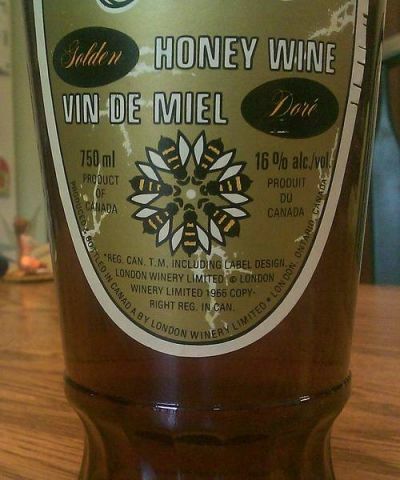 London was one of the first to market honey wine commercially in Canada. They started in 1963, and originally had three brands: London Ancient Mead White, Golden and Amber. Sales were brisk for a number of years and the product was sold in 18 U.S. states and 6 Canadian provinces. from Europe and the LCBC began organizing winemaking courses. In 1964, James Patience joined the winery as a laboratory technician. He became winemaker in 1978 when the winery finally made a commitment to table wines. The challenge was to compete with the popular Italian wines of the day by producing Castini Bianco, Castini Rossa and Londini - all dry table wines and a major change from the sweet wine previously made called London's Dinner Wine . In 1984, the Knowles family had 20 wine shops in Ontario. 2016 Nov. Constellation's Canadian interest bought by Ontario's Teachers Pension Plan. New name Arterra Wines Canada. Born in London, Ontario, Canada on June 19, 1902, Guy Lombardo went on to become the most popular band leader on the American music scene. His ensemble, The Royal Canadians, sold at least 100 million records. Between 1929 and 1952, there wasn't a single year that a Lombardo record didn't chart - 21 of them at number one. He is arguably the most successful entertainer to come out of Canada - ever. Labatt's Brewery was founded in London 1847: John Kinder Labatt founded the company with the purchase of London's Simcoe Street brewery in partnership with Samuel Eccles. In 1853, Labatt had become the brewery's sole proprietor, and he later renamed it John Labatt's Brewery. 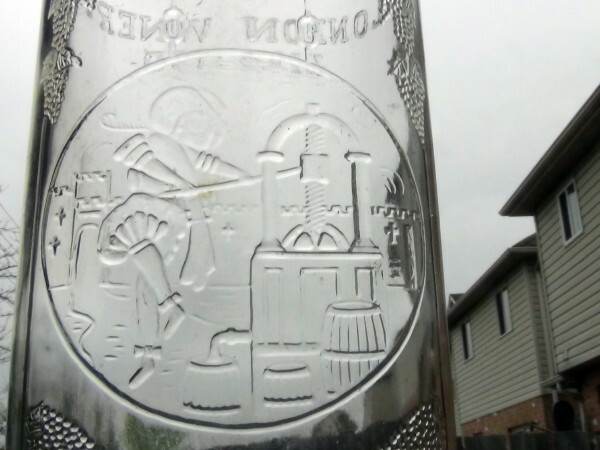 In 1840, Thomas Carling began a small brewing operation in London, Ontario, selling beer to soldiers at the local military camp. When he died, his sons William and John took over, naming it the W & J Carling Brewing Co. John Carling became a prominent figure in Canadian business and politics and was later knighted in 1893. Sir John Carling died in 1911 and the company has changed hands numerous times since. Sir Federick Banting, in July 1920, began to practice medicine at the University of Western Ontario London, Ontario. There, on the night of 31 October, 1920, during his routine reading of articles in a medical journal, he wrote down an idea for a method to isolate the internal secretion of the pancreas - the crucial step needed for effective treatment of diabetes. Up to that point, all methods to obtain a useful secretion, which could be safely administered to humans, had proved unsuccessful. The first commercial winery opened in 1811 when a German soldier/winemaker named John Schiller settled in what is now Mississauga. He founded a vineyard located by the Credit River and fermented his own wild and wild/hybrid grapes. The first truly commercial winery came into being. John Schiller supplied so many with drinkable wine that he is looked upon as the father of the Canadian wine industry. In 1857, Porter Adams was the first to plant vines in what is now the heart of the Niagara region.